FIspace is an FI-PPP Phase 2 project. It leverages the outcomes of two complementary Phase 1 projects - FInest & SmartAgriFood. It aims to pioneer towards fundamental changes on how collaborative business networks work in future. The FIspace platform and app store employs Future Internet technologies (FI-WARE and its successor) for enabling seamless collaboration in open, cross-organizational business networks. On eight Experimentation Sites in Europe pilot applications are tested for agri-food, transport & logistics industries. FIspace prepares for industrial uptake by engaging with players & associations from relevant industry sectors and IT industry. One ultimate outcome of FIspace will be the inclusion of stakeholder groups and providing guidelines, plans and recommendations for the large scale expansion of platform usage in Phase 3. 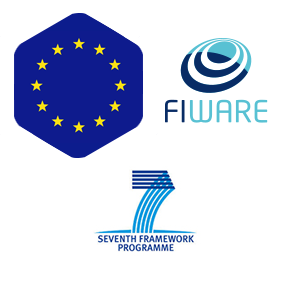 Watch here an overview over the FI-PPP Phases and the conception of FIspace Workpackages (WP). Use Case Trials (WP400) demonstrate the FIspace capabilities and benefits in the real-world. Apps are developed, connected to local infrastructure (e.g., in-the-field systems and devices) and the FIspace software components (hosted by WP300). 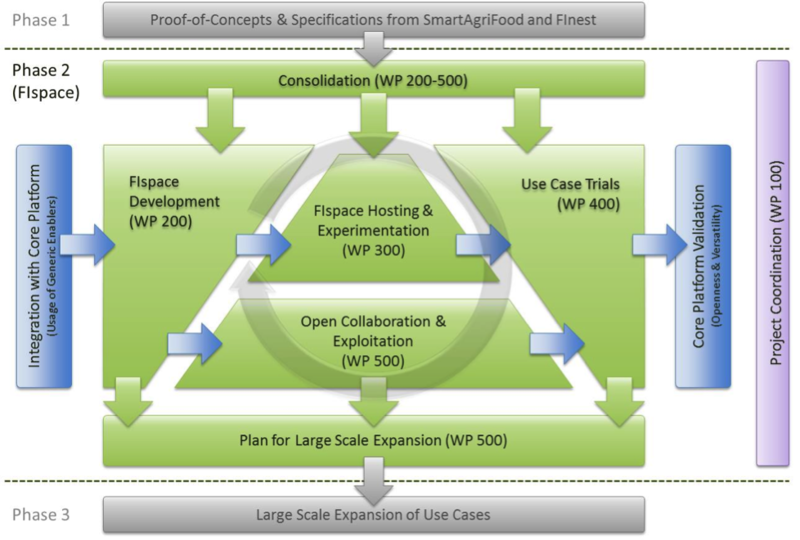 Open collaboration & Exploitation (WP500) fosters early uptake of results and drive establishing an eco-system around FIspace, including dissemination, exploitation and standardization. Complementing this workstream are activities related to Core Platform integration and validation. The progress of the project is reflected in several public deliverables and updated regularly in the project wiki.